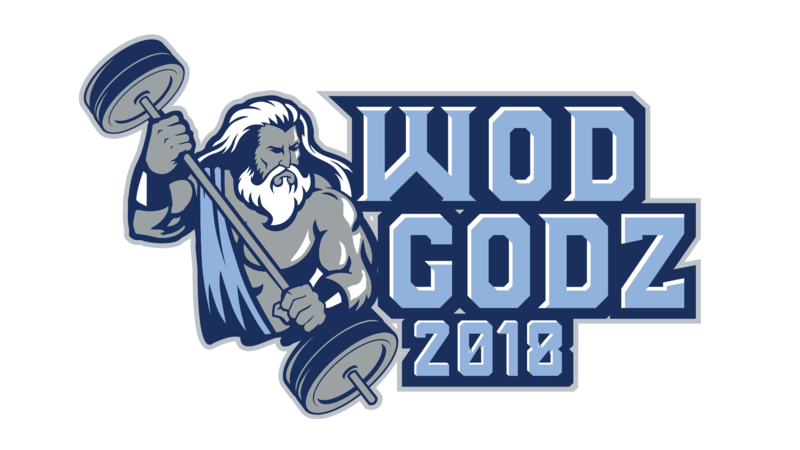 WODGODZ is an athletic competition designed to 1) appeal to athletes of all abilities, and 2) exceed your expectations of what an athletic competition should be. It is open to individuals, teams, and select professional athletes. You can qualify to compete in one of our open divisions by meeting the criteria of that division, or PRE-QUALIFY for our Pro divisions with your 2018 Open ranking. See details on our Divisions & Standards page. We have designed the competition with an understanding of the competitive needs of elite athletes, as well as the weekend warrior’s desire to have fun. We live and love this stuff, too! Although far from Mt. Olympus, WODGODZ calls Shreveport, LA home, and the event will again be held in the Shreveport Convention Center. We received rave reviews about the venue last year, and you can expect the same first-class competition this year. There is ample covered parking available on site, and all events will be held inside, so the competition will continue, rain or shine. We have partnered with several nearby hotels to offer discounted block rooms for the event. WODGODZ will be accepting athletes into one of twelve (12) individual or one (2) Coed Teams of Four divisions. You will be in the good company of over 300 dedicated and motivated athletes, so expect some stiff competition. Our Sponsors and Vendors are awesome, because WODGOZ wouldn’t be possible without their support and we know it. So, from all of us to all of our registered Sponsors and Vendors, THANK YOU! If you are interested in becoming a Sponsor or claiming a spot in our Vendor Village, follow the link above for more information. No athletic competition of this magnitude would be possible without the generous support of volunteers, and our volunteers are what makes WODGODZ work. Check out all the opportunities to get involved here. The only thing better than competing for the title of WOD GOD, is competing for the title of WOD GOD in front of a screaming crowd! Tickets will be available on site, stadium seating will be available for those of you who don’t like to be up-close to the action on the floor, and the Convention Center is fully handicap accessible, so come out and enjoy the weekend of competition and fun. Admission: $10 per day, $15 for the entire weekend of events (children under 12 no charge if with adult). The 2018 WODGODZ competition will be held Saturday and Sunday, December 8th and 9th at the Shreveport Convention Center in Shreveport, LA. On site athlete registration and volunteer check in will be open Friday, December 7th, 12 noon -10pm, and again on Saturday, December 8th from 6am-7am. Competition heats on Saturday, December 8th will begin at 8am and continue into the afternoon until the day’s WODS are finished. Competition heats on Sunday, December 9th will begin at 8am and continue into the afternoon until the day’s WODS are finished. Check the Schedule of Events for more details. The Final event to crown the WOD GODZ will begin at 2pm (sooner if time allows), with an awards ceremony immediately following. As individuals, we are fathers, mothers, sons & daughters, husbands, wives, and fitness fanatics. Together we are all members of a fitness family that thrives on the passionate pursuit of fitness and personal improvement. Setting goals is the first step in turning the invisible into the visible, and we believe that if you do what you’ve always done you will get what you’ve always gotten. It is in your moment of choice that your future is shaped. In other words, we believe our futures are our choice, and we choose to always strive to be a better version of ourselves, and to always push the limits of our fitness and lives. This is how we choose to live every day, and the idea for the WODGODZ competition was created out of this passion. Come share in our passion for fitness and competition and join us at the 2018 WODGODZ! The first step is deciding how you will participate in the 2018 WODGODZ athletic competition. If you aren’t able to compete, but want to be a part of this epic event, become a Sponsor, Vendor, or Volunteer. If you are ready to compete, and want to find out which division is right for you, check our divisions page. Or click Register button below if you know your abilities and are ready to throw down! With 30 spots available in each division (30 male/30 female), and a Coed Team of 4 division, we are confident you can find a place that is right for you.